With the rise of smart objects and the connected home, users are increasingly interacting with their devices through non-screen elements like light and sound patterns. However, there are currently no style guides or best practices for what various light and sound signals mean across user devices. 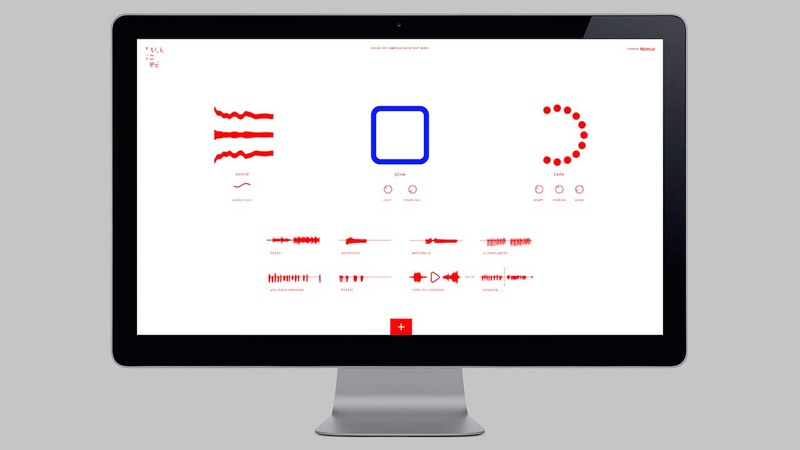 To help designers overcome this roadblock, GlobalLogic’s experience design arm, Method, developed a prototype nicknamed ‘Henri’ (Hardware Enhancing a Natural Responsive Interface) that creates languages for objects and removes the noise of interactions. 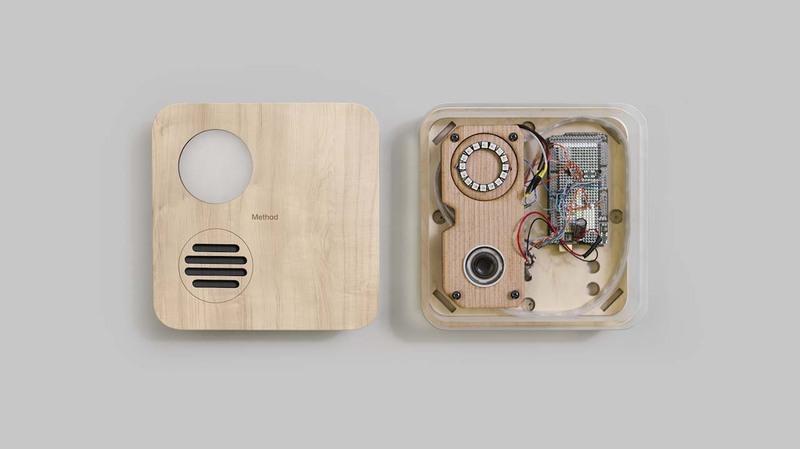 Henri functions as an abstract stand-in for a connected home product like the Nest. 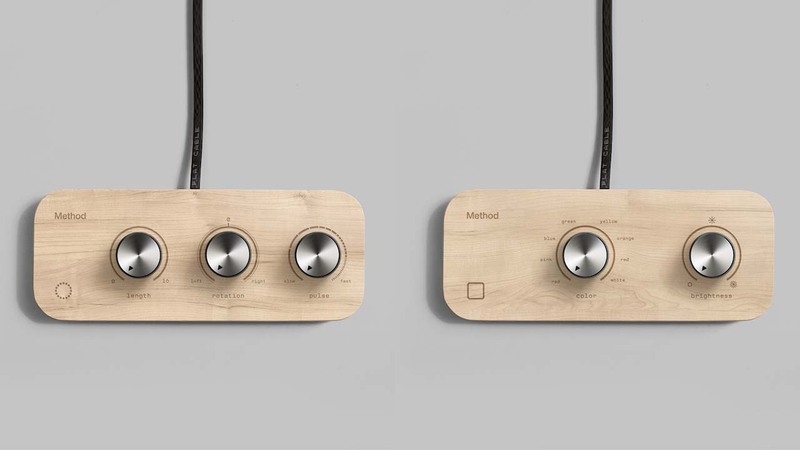 By manipulating two control panels of brushed steel knobs, even the most non-technical designer can easily experiment with device interface elements such as light, sound, and halo patterns. Much like a modern-day Rosetta Stone, Henri allows designers to explore and decode the ambient interfaces of future non-screen devices. Over a period of three weeks, the prototype team asked themselves several questions to frame the next evolution of this tool: What do we need as designers that we don’t already have? What are we making the tool for? What does it look like? The focus could not be singular: the team needed to design both the physical tool and the workshop experience. Henri needed to create multiple forms of feedback in real-time, design patterns to create a vocabulary and feel like you are playing when you collaborate with team members. The interaction capabilities were the primary focus of the tool, freeing designers from focusing on the physicality of the product and coding, while significantly enhancing a collaborative design process. Method revealed Henri at the IxDA15 Conference in San Francisco, where groups of attending designers were given a fully-functioning Henri and instructions on three behaviors that they had to give a household object. The workshop successfully saw teams work together in a very short amount of time; most participants had never thought of infusing personas into an object. They began to think from a unique perspective where the product needs to communicate more information to a person than just on, off or idle. For example, the exercise revealed that most people intuitively understand that increasing the speed of a flashing light or blipping sound communicates urgency. And while a universal language for smart objects is still many years off, Henri allows these concepts to be tested in real-time, enhancing the overall capabilities of both the designer and the product.